Performing a physical diagnosis is easier with the medical diagnostic instruments featuring our exclusive Halogen HPX™ lamps provide brighter, whiter light than standard halogen lamps for true tissue color and long-lasting illumination. Built for durability, ease of use and comfort, these instruments will provide you with lasting satisfaction. The innovative technology of these instruments is available in a variety of options and configurations to fit your requirements. Each component of the set is a work of superior quality and craftmanship. 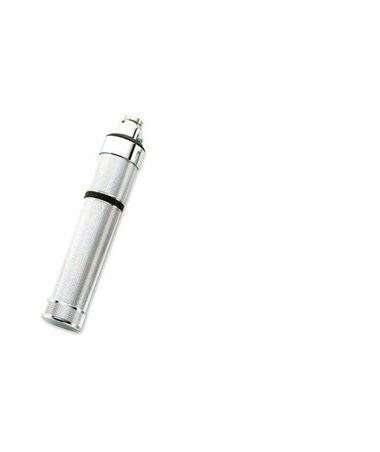 The Welch Allyn 3.5v Nickel-Cadmium Rechargeable Handle is a convenient rechargeable power source that fits all Welch Allyn 3.5v instrument heads. With a rechargeable nickel-cadmium battery included, this attractive, smooth, nonabrasive knurled handle is ready to use straight out of the box. Its chrome-plated brass construction assures durability and reliable long life. Every set comes complete in a hard case for maximum portability, protection, and lifespan. You may configure your set to suit your individual needs. Select from a variety of options within every component from the drop-down menus above. View images of each component choice by clicking on any thumbnail image to view larger. 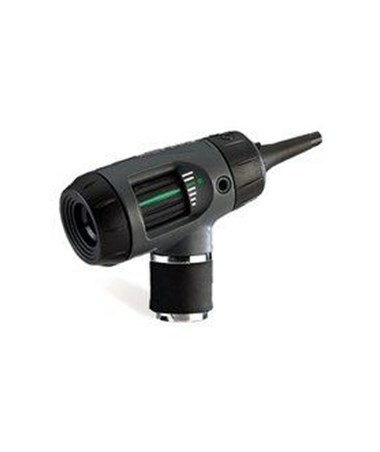 The Welch Allyn MacroView™ Otoscope delivers almost twice the field of view at almost 30% higher magnification compared to standard otoscopes, making it easier to visualize the auditory canal and tympanic membrane. This instrument is a significant advance in hand-held otoscopy, providing an improved view for enhanced learning and decision making. It features better clarity and definition of landmarks, the ability to focus for variable ear canal length and farsighted eyes, a tip grip for secure fastening and easy ejections of ear specula, and fiber optics to produce cool light with no obstructions or reflections. 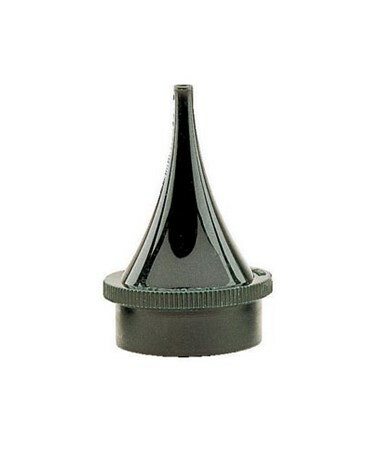 A focusing wheel, conveniently located on each side of the otoscope and the back eyepiece, is available to the practitioner for adjusting the focal length. 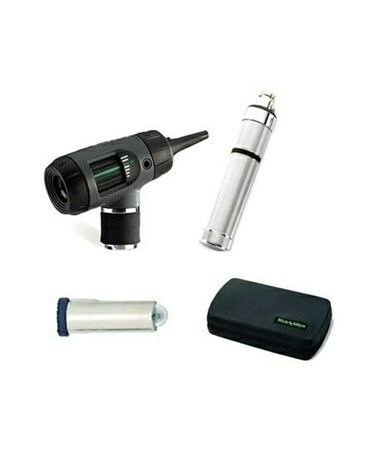 The MacroView™ otoscope with attached throat illuminator includes all of the features of the MacroView™ otoscope with the added convenience of a built-in throat illuminator, making it a complete all-in-one tool for convenience and portability. The MacroView™ (head only) otoscope includes a set of five polypropylene specula, sizes 2, 3, 4, 5, 9mm. 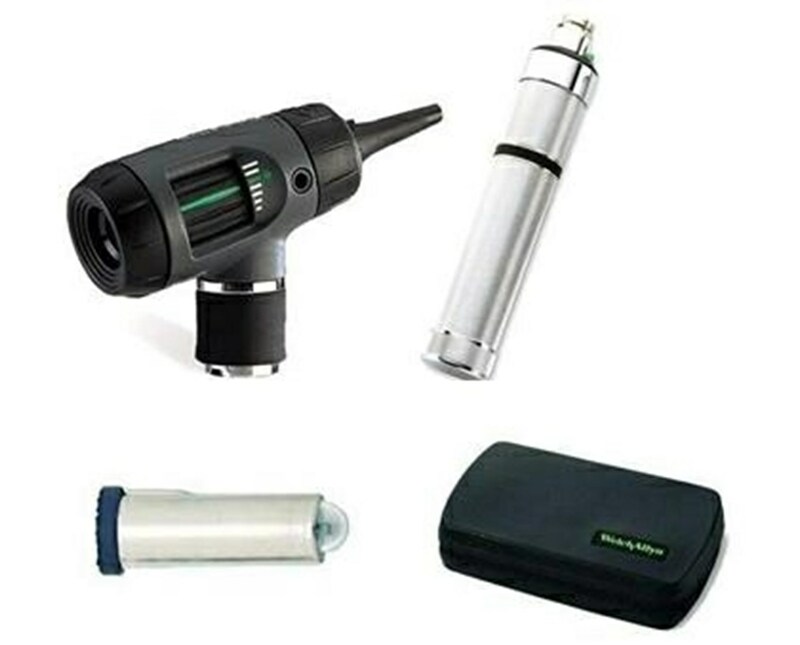 Select an otoscope from the drop-down menu above.